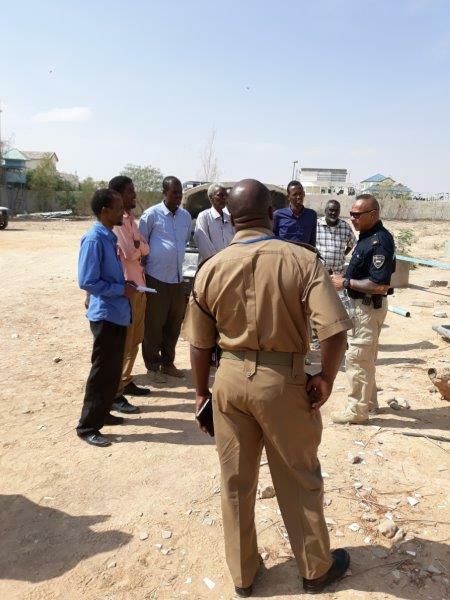 Ten police officers from the Puntland State of Somalia enhanced awareness and communication skills to apply on Crime Scene Management situation by participating in a workshop jointly organised by EUCAP Somalia, UNSOM and the Puntland Police Head Quarters. 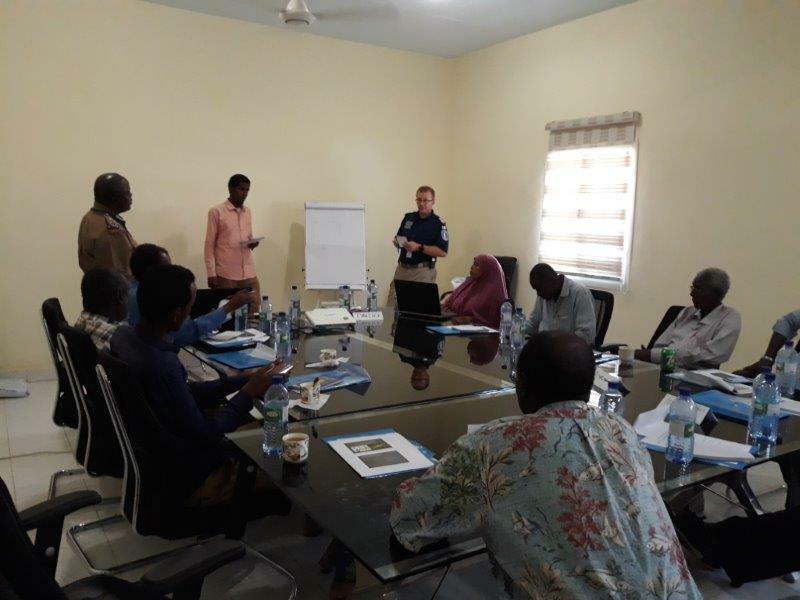 The training course, hosted at the premises of EUCAP Somalia’s Garowe Field Office on 26-28 November, comprised of theoretical and practical sessions, inclusive of simulations and real scenarios (indoor and outdoor). 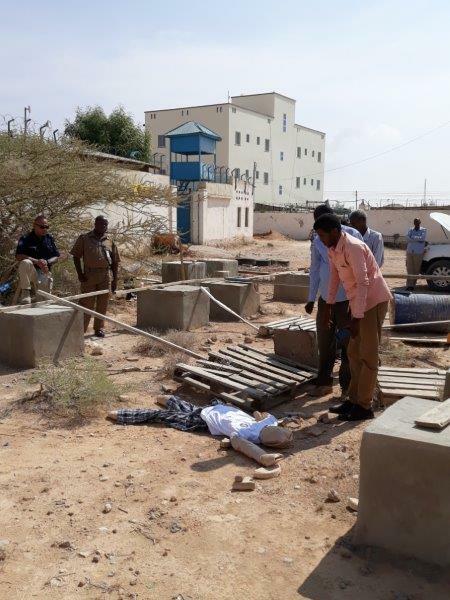 Aim of this basic training was to enable police officers to appropriately approaching a crime scene, preventing the contamination of the scene, adequately performing on the scene and also being aware of the responsibility, loyalty and honesty that collecting evidence requires. The workshop also touched upon interagency cooperation, for example among Police, Fire Department and Emergency Services. 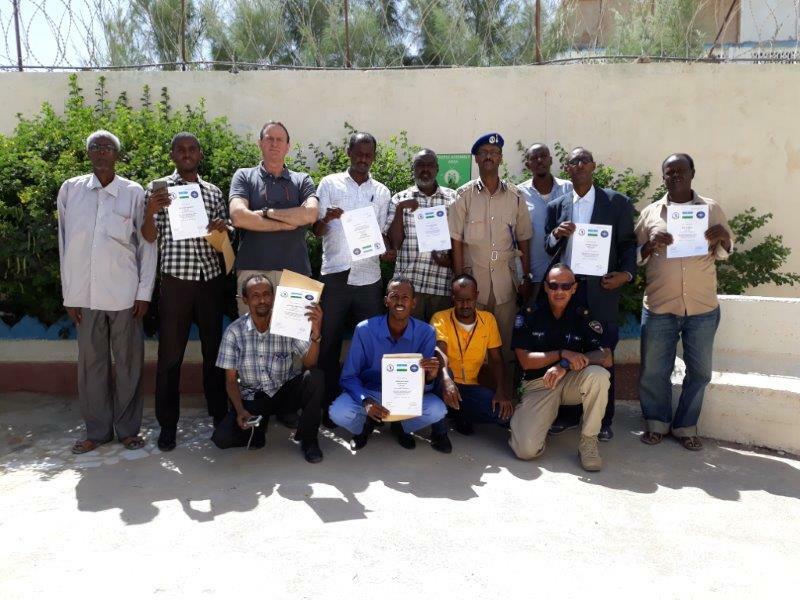 Involving the local community in police activities to gain trust and information, the so called Intelligence Led Policing, was also among the topics of the training. 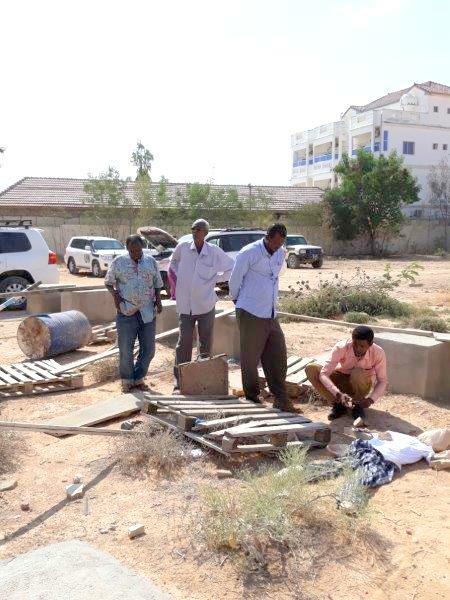 One of the practical exercises involved a simulation of what to expect in hostile environment, for example how to approach booby traps. The simulation focused the attention of the participants on objects to be considered as “unnatural” elements in the fields, such as wires emerging from the ground.